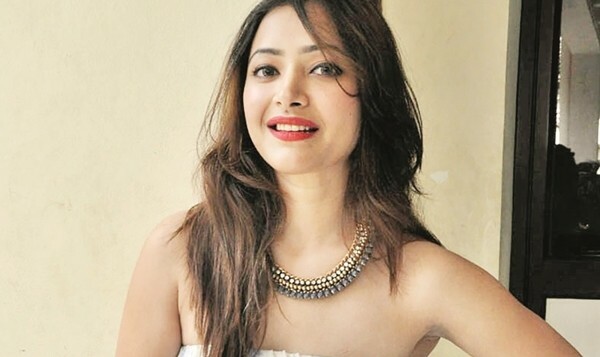 Shweta Basu Prasad, the former child star of Vishal Bhardwajai??i? ?s Makdee who was later seen in Iqbal, is currently looking forward to her big ticket film Badrinath Ki Dulhania. More recently, a documentary on Indian classical music, directed by her, premiered at an arts festival in Mumbai. Titled Roots, it is a veritable directory of talking heads of the greatest exponents of Indian classical music as well as popular music in the country today, from A R Rahman, Gulzar and Bhardwaj to Shubha Mudgal, Shiv Kumar Sharma and Pandit Hari Prasad Chaurasia. Roots is the culmination of a four-year journey of research, shooting and post-production. Though she hopes to screen the film at other venues too, for now, Prasad is busy with her TV show and keeping fingers crossed, hoping that the Alia Bhatt-Varun Dhawan starrer gets her some professional and critical traction too. Ranveer Singh is excited. Now anyone who has spent more than five minutes with this star knows he always seems to be excited. But this time heai??i? ?s a little bit more pumped up thanks to his next film, not Sanjay Leela Bhansaliai??i? ?s Padmavati (which just resumed shooting after a derailment in the last schedule in Jaipur) but Zoya Akhtarai??i? ?s Gully Boy where he is paired with IT-girl Alia Bhatt. Singh plays a rapper from the slums of Mumbai in a story inspired by local rappers Naezy and Divine. The actor is not just excited about the musical graph of the story, but also about finally playing a character that is deeply rooted in his home city. After reaping high praise for her performance in Pink, this week Tapsee Pannu has not one, but two film releases that will put her talent to the test. With Running Shaadi and The Ghazi Attack, film watchers and critics will be able to gauge whether this young actress really has what it takes to scale a highly competitive ladder. Pannu has said that the character of Nimmi in Amit Royai??i? ?s Running Shaadi is very close to her real life persona ai??i?? except that Nimmi is from Punjab, while Pannu is from Delhi. In the film, Amit Sadh and Pannu help eloping couples get married. Interestingly, it was her work in Running Shaadi that got Pannu Pink, since both have the same producer. On the other end of the spectrum is The Ghazi Attack, an intense war film set in 1971. Made in both Telugu and Hindi, this one sees Pannu as a Bangladeshi refugee in a film that is heavy on testosterone, patriotism and special effects, as it builds the story of the sinking of a Pakistani submarine. binge-watching Dutt films and absorbing every aspect of his persona.